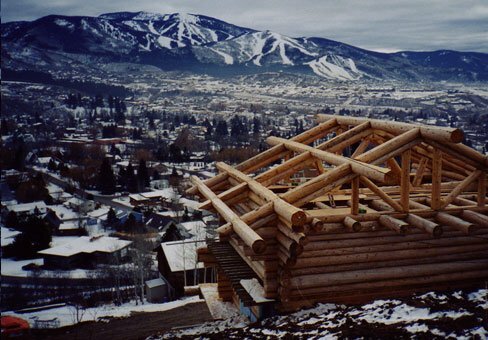 Thomas Wood Handcrafted Log Homes offers 29 years of building experience in the Yampa Valley proving our commitment to prompt, personalized and professional service. 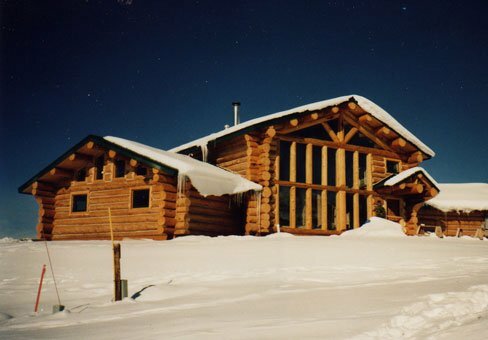 Handcrafted integrity blended with nature's finest log materials is what makes a Thomas Wood Log Home special. We are proud of our satisfied clients. Our location, knowledge, and experience ensures access to the finest quality logs. 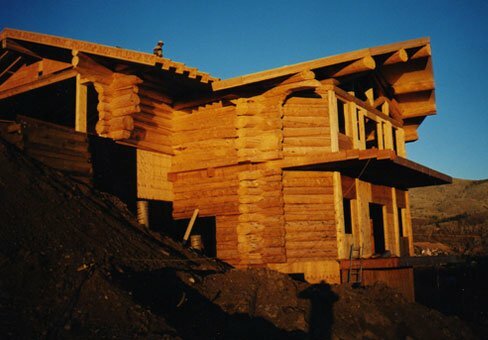 Full round log construction techniques start with individually selected, dry and stable, Lodgepole Pine and Engleman Spruce logs. The logs are hand-peeled to reveal their individual character and natural beauty. Our talented logsmiths then carefully scribe, cut, and notch each log to fit precisely. State of the art scribe fit and saddle notched chinked style techni- ques are available. On-site or preconstructed, our craftsmanship is consistently superior. Log home construction has been gaining popularity over the last few years, with consistent features in the prestigious Architectural Digest. It takes years of training to be able to handcraft a chinked style log home shell. 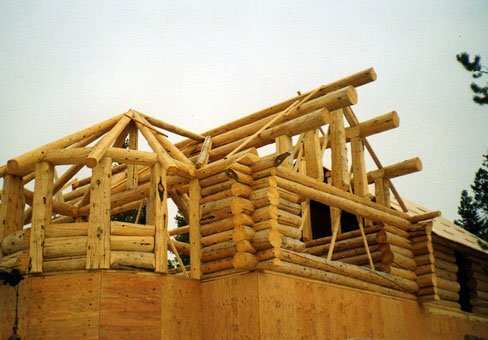 The expertise comes in the 'fitting' of floor systems, roof systems, and log trusses. 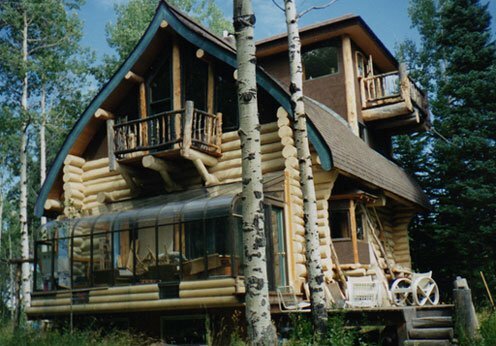 These are all natural features of a chinked style log home. Our typical corner is saddle notch shrink-to-fit.